Railway Recruitment Board (RRB) has released the notification for 10,190 Group A and Group B Vacancies. The vacancies include officer scale 1, scale 2, scale 3, and office assistant posts. RRB invites applications from eligible and interested aspirants from 8th June to 2nd July. The Institute of Banking Personnel Selection (IBPS) is going to take part to employ the suitable candidates into RRB Group A and Group B posts. Candidates seeking to apply for RRB Group A, Group B posts can apply through IBPS official website, ibps.in. Candidates applying for the IBPS RRB vacancies can check more details from the official notification. 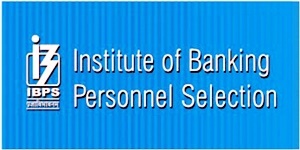 Institute of Banking Personnel Selection (IBPS) involves in personnel selection for various bank and railway recruitment posts. Railway Recruitment Board has recently released the notification for 10,190 Officer Scale I, II, III posts. Candidates aiming to get selected for the announced posts need to clear the preliminary examination, mains examination, and interview rounds. Candidates clearing the prelims examination will be sent to the mains round and candidates clearing the mains examination will be forwarded to the interview round. Finally, hopefuls clearing the interview round will get the opportunity to work in various designations. Candidates can refer the IBPS RRB Notification 2018 by downloading it from the official website, ibps.in. Once after going through all the details, proceed to apply for IBPS RRB Officer scale 1, scale 2, and scale 3 posts. Candidates can check the brief details of IBPS RRB Group A & Group B recruitment 2018 from the following. Candidates must have graduate degree in any discipline. Applicants must have 50% above marks in their Graduate Degree. Check the detailed information about educational qualification from the official notification.